On Wednesday 25th of January, Year 9 pupils were involved in a series of activities related to language learning and internationalism. All pupils took part in the Eurogateau activity which combined Enterprise and Languages. The pupils worked in teams as a bakery, making and selling paper ʻcakesʼ. They were given a company cheque book and a balance sheet at the beginning of the activity and they had to keep track of their finances throughout as they were competing to make the most profit. Pupils had to trade- when buying ingredients or selling their finished products they had to speak to the Euroagent in either French or German. Other activities that went on during the day were a Chinese taster, where pupils learnt about the country and the language and practised their calligraphy and chopstick holding abilities, workshops about the importance of languages in the work place and university, Francophone music and Brazilian Portuguese. It was a great day where Year 9 pupils really got to know a bit more about other languages and how useful they can be for their future. Year 7 students celebrated Europe in style with a day-long competition to explore the varied and exciting countries of the European Union. The day started with a special assembly where students heard about strange European customs – from the Mud Olympics in Germany to La Tomatina in Spain – and teachers added a special touch by dressing up in traditional clothes from across Europe. Form groups then competed to create the best mini display to promote a European country. 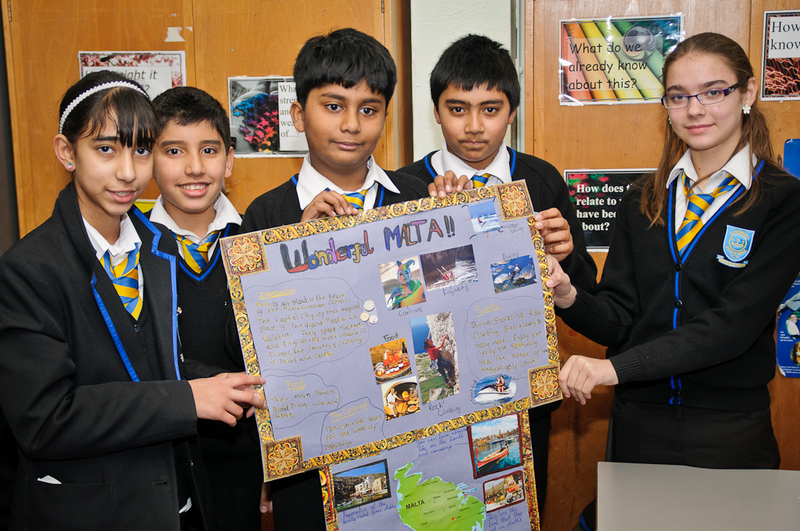 Students developed their research and presentation skills as they investigated the events, traditions and attractions which they thought would entice others to visit their country. 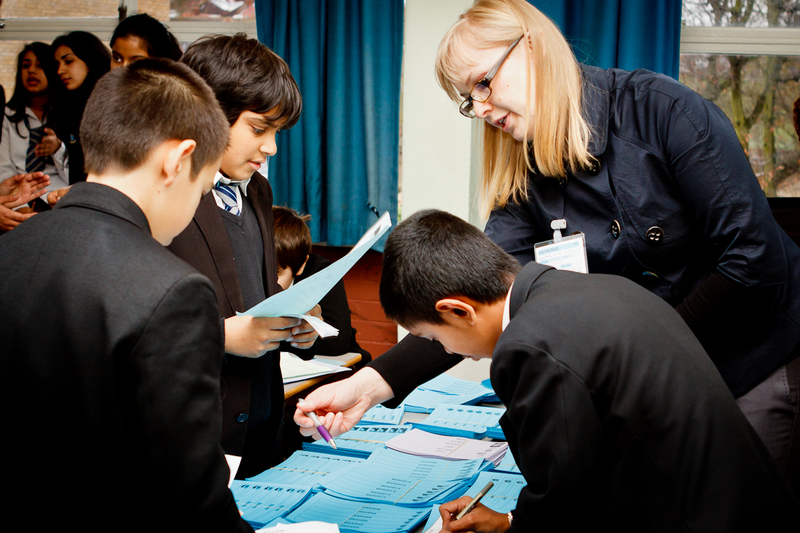 The event was a lot of fun and was greatly enjoyed by students and staff. Deputy Head Mr Jamieson presented the Teachers’ Prize to the lucky winners from 7R at the end of the day – and online voting is now open for Year 7 students to decide who will win the Pupils’ Prize, which will be presented on 24 January. The Celebration of Europe was organised by the Languages Faculty as part of the School’s new programme of Excel Days, which provide regular opportunities for deep learning. 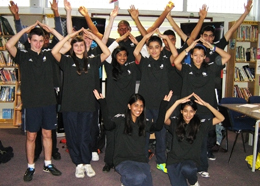 Kingsbury High School students and Gold Young Ambassadors Mesha Vadher and Sherain Watson held a Young Ambassador conference on Wednesday 18th January 2012. The conference promoted the roles and responsibilities of adiStars Young Ambassadors, which is an initiative set up by partner of the Young Ambassadors programme, adidas. Pupils from Kingsbury High School, Claremont High School, Jewish Free School, St Gregory’s School, Preston Manor and Woodfield School attended the conference to learn about their new roles as adiStar Young Ambassadors.